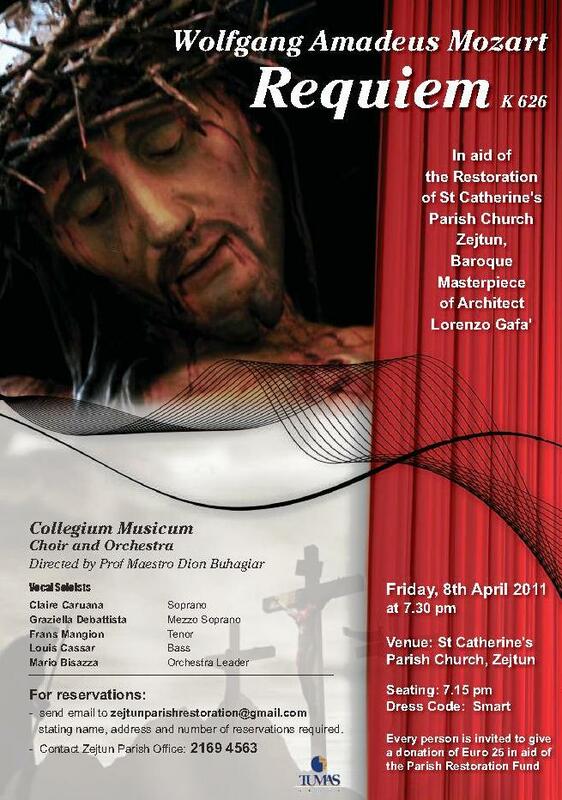 Mozart’s Requiem is going to be performed by the Collegium Musicum choir and orchestra at the Zejtun Parish Church on Friday 8th April. giving your name, your postal address and the number of seats you wish to book. Alternatively you can call personally or by phone on 21694563 at the Zejtun Parish Office. Those attending are invited to make a donation of €25 in aid of the restoration project fund. 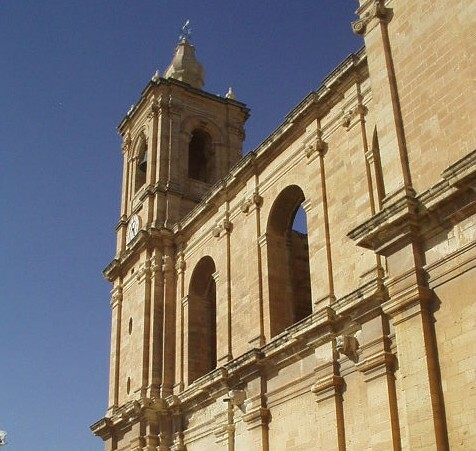 In the coming months, Wirt iż-Żejtun will be seeking ways and means, following consultation with Zejtun Parish, how it could assist the ongoing restoration project of this baroque national monument. Although at the moment, financially Wirt iż-Żejtun cannot be of great help, we can be instrumental in creating awarness within our community and beyond on the need to safeguard this architectural jewel.